Glenwood Elementary School was built in 1956 to replace Riverway East School. Additions to the school were made in 1966 and 1969. 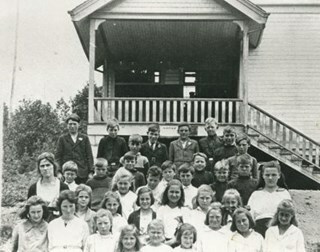 Decreasing enrolment led to the school closure by 1980, but it was re-opened 1994. 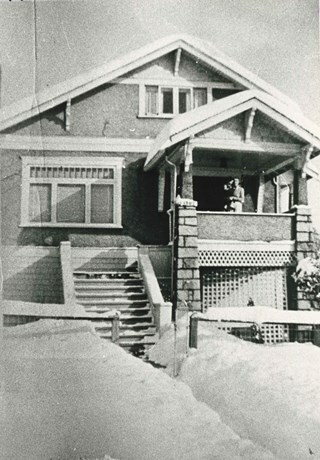 Photograph of the Butler family home at 7790 Buller Avenue in the snow. 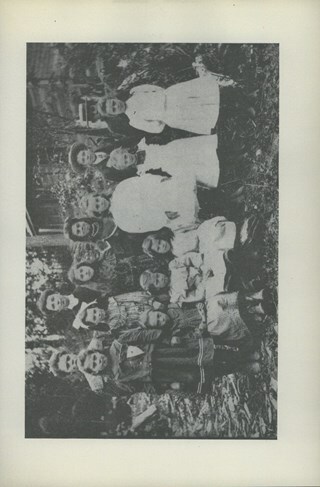 This was the home of Edwin Butler, his wife Margaret Butler, and their children. 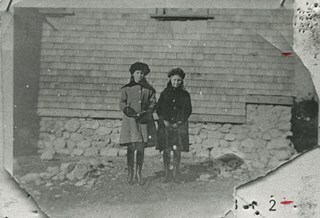 Photograph of Marie Hardie (nee Rey) and Archie Hardy in front of their home at 2930 McKee Street (later renumbered 5850 McKee), South Slope. 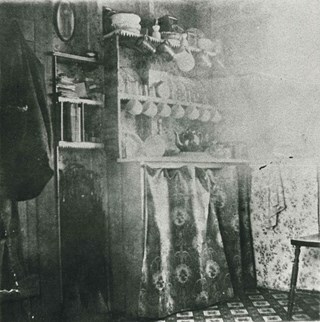 Photograph of the A.J. 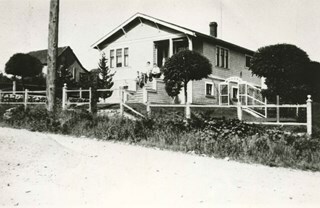 Keel farm house and orchard, at 5387 Rumble Street. A.J. 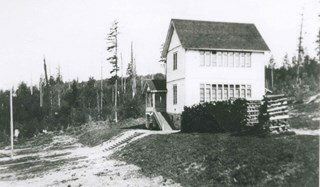 Keel bought this property, which went from Rumble to Walting, in 1920. 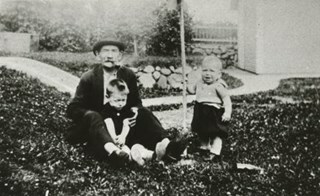 Photograph of the A.J. 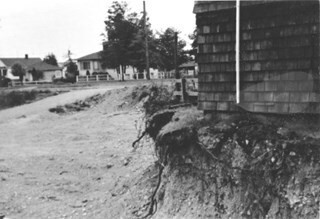 Keel house with excavation for the extension of the McPherson Park School. 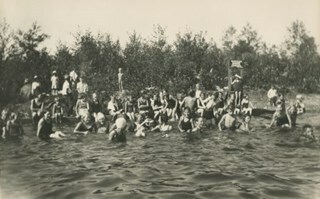 Photograph of the A.J. 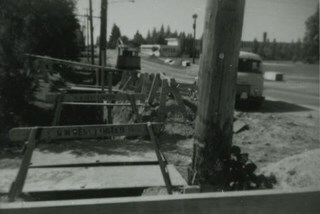 Keel house with a close-up of the excavation for the extension of McPherson Park School. 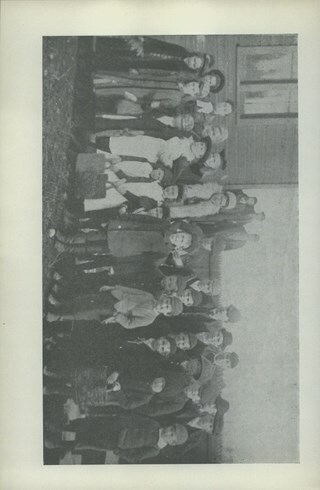 Photograph of Riverway East School students, Grades 1 to 3. 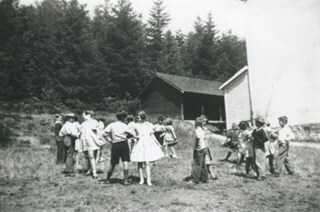 Photograph of the Riverway East School dance club practicing outside of the school. 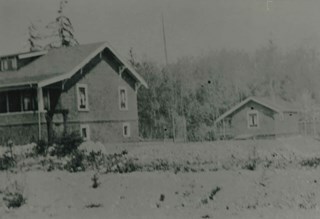 Photograph of Dundonald United Church, taken from the school grounds of Riverway East (later renamed Dundonald School). 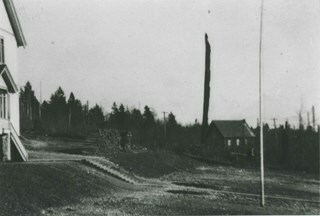 Photograph of Riverway East (renamed Dundonald) School taken from River Road (now Marine Drive). A large pile of cordwood is visible alongside the school. 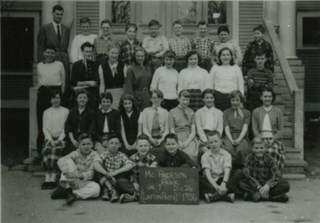 Photograph of the 1956 McPherson Park School, Division 26, Grade 7 class. 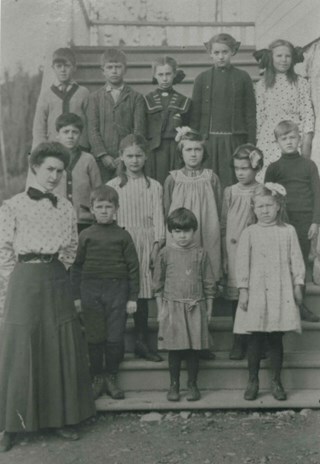 Photograph of Burnaby South High School. 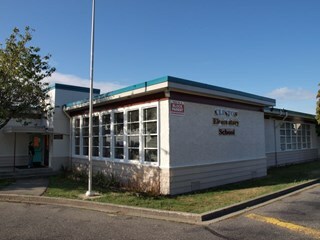 Photograph of Clinton Elementary School. 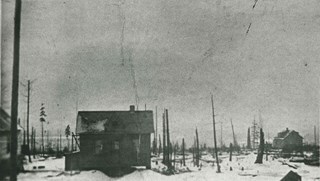 Photograph shows a house on Victory Street near Royal Oak Avenue. 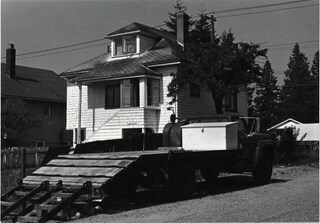 Photograph shows truck parked outside home on Rumble Street near Roslyn Avenue. 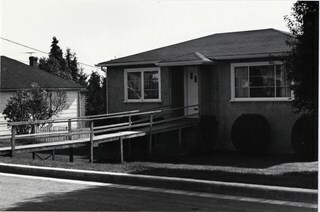 Photograph shows a house at 5512 Portland Street constructed in 1948. 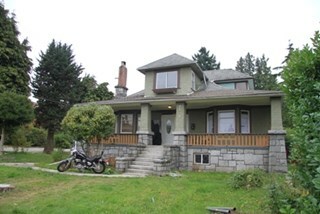 Photograph shows a house at 5619 Portland Street built around 1918-1920. 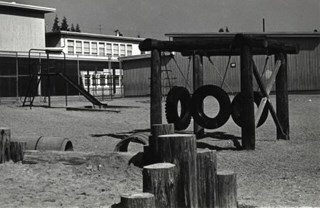 Photograph shows the playground at Clinton Elementary School, 5858 Clinton Street. 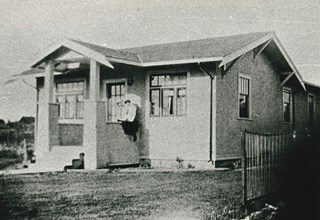 Photograph of the second Butler family home at 7790 Buller Avenue, South Burnaby. Edwin Butler is standing by a valiant that is parked out front. 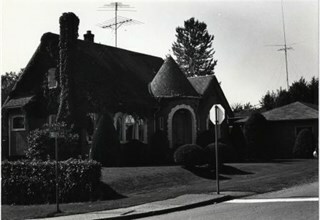 The first Butler home in Burnaby was at 278 14th Avenue, East Burnaby. 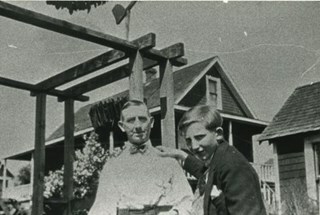 Photograph of (left) Doris Armitage (later Doris Chadsey) and (right) Phyllis Fisher, in front of the Armitage family home, 4565 Portland Street, Alta Vista. 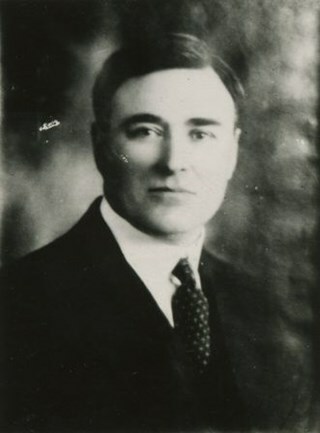 Doris' father, Alfred Armitage, built the house himself. 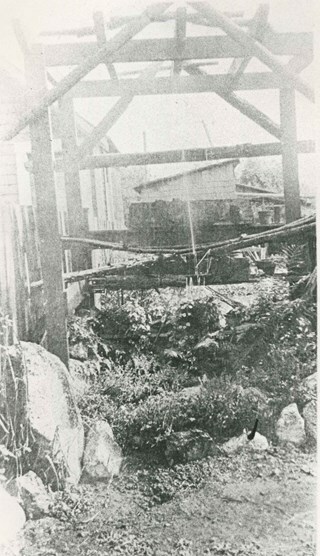 The foundation was built with boulders and rocks cleared from the property. 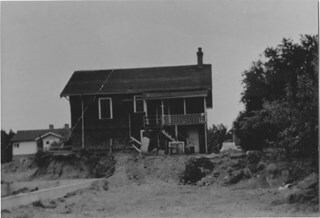 Photograph of yard at the Hardie family home at 2930 McKee Street (later renumbered 5850 McKee), South Slope. 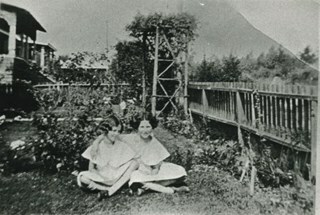 Sisters (left) Bea Hardie and (right) Evelyn Hardie are sitting in the garden with their arms around each other. 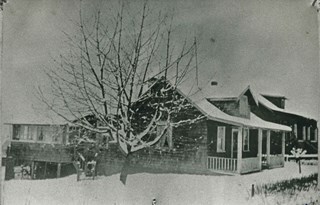 Photograph of the Hardie family home in wintertime. The house was located at 2930 McKee Street (later renumbered 5850 McKee Street) and was the home of Archie and Marie Hardie and their children: Sabra, Helen, Fred, Ella, Evelyn, and Bea. 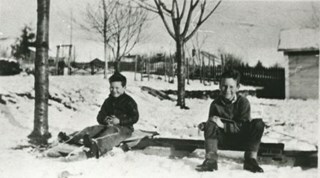 Photograph of children playing in a sand pile at the end of Patrick Street, in Buller Ravine (John Matthews Ravine Park). 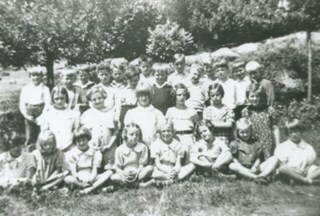 Identified: (2nd from left) Evelyn Hardie (later Evelyn Le Grove). 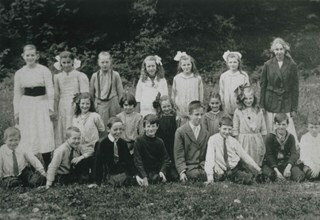 The others are Quinn children, neighbourhood friends of the Hardies. Evelyn was the daughter of Marie and Archie Hardie, who lived on McKee Street. 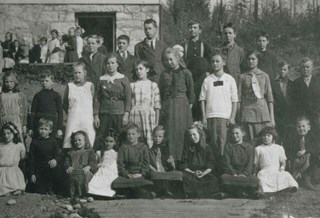 Photograph of the Thould family. 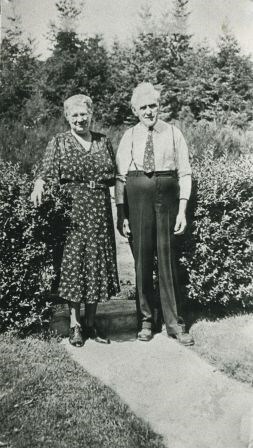 Back, left to right: Grace Dommett Thould (wife) and Lionel "Judge" Thould (husband). 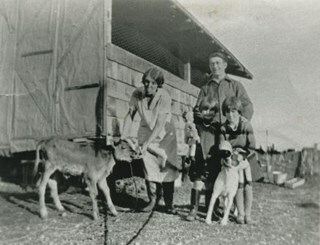 Front left to right: Eileen Thould (daughter), Margaret Thould (daughter), and pet dog, Jack. 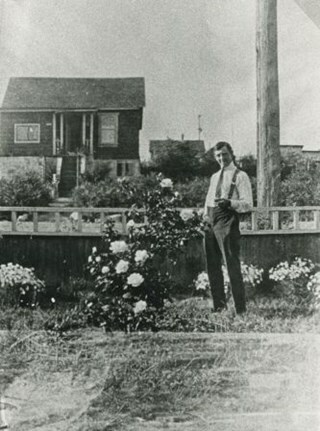 This photograph was taken at the family's home and farm, 5665 Portland Street in Alta Vista. 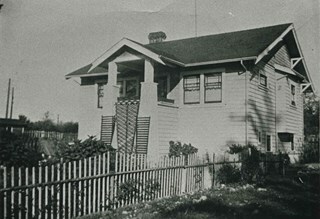 Photograph of the Armitage family home at 1925 Buller Avenue (later renumbered 7342 Buller Avenue) in the Highland Park area. 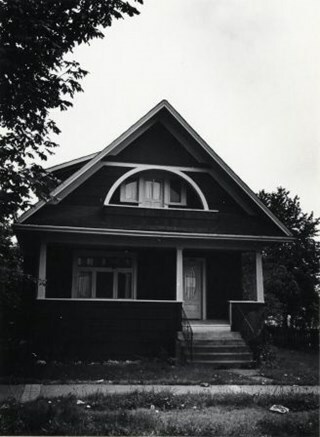 This was the third Armitage home. Edna Armitage and Joe Rigby held their wedding reception here in 1931. 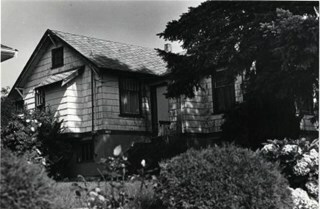 Photograph of the Armitage family home at 3276 Buller Avenue (later renumbered 7342 Buller Avenue) in the Highland Park Area. 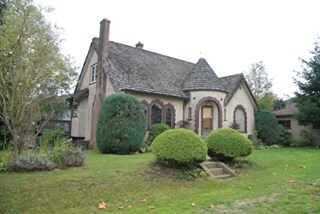 This fourth Armitage family home was built by Albert Armitage and his brother. It was a much larger house than its predecessor on the same lot.